Posted Tuesday, July 19th, 2011 by Greg Gladman. Setting up a new fax machine is usually not difficult. When it comes time to test its operation, however, most users need to find another user and another fax machine, taking up their time as well as yours. Fortunately, the HP Fax Test Service provides an easier solution. By sending a fax to their toll-free number, you can receive a return fax in just a few minutes to confirm that your machine is able to both send and receive. Here are the steps to follow. Make sure your fax machine is plugged in, turned on and filled with paper. Prepare a simple text sheet that you can send. Any simple office memo will suffice, or just print out a single-page document with some sample text on it. You could even include a favorite quote just for fun! 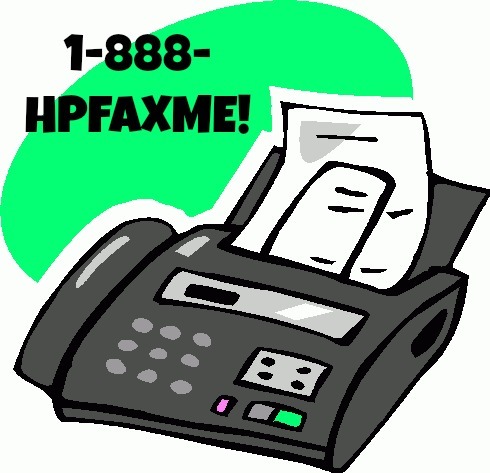 Insert the page for faxing and send it to 1-888-HPFAXME (1-888-473-2963). Wait 5 to 7 minutes (or sometimes as long as 30 minutes) for a return fax. If you receive the return fax, you have now verified that your fax machine is working properly. Of course, there is a problem with the HP Fax Test Service, in that a positive result verifies that your machine is working, but a negative result provides little information about what went wrong. In this case, you will probably need to enlist some help and try to send your fax to a person waiting by the machine. If you receive an error, see our page on HP Fax Errors for help. For the majority of users, the fax will likely be returned, and you can rest-assured that your device is working properly without taking up someone else’s time. This wonderful free service from HP provides a lot of value. Thank you for commenting on our post! It is always nice to know that someone reads the blog. We do not help troubleshoot fax machine problems; we do some of that with printer problems because we sell printer supplies and a few models of HP printers. Articles like HP Fax Test have been written for the blog as a way to help users troubleshoot problems on their own, because many printers include fax capabilities. If you send a fax to the number given above, and your machine is working for sending a fax, they will send you a fax after several minutes. If you don’t receive a fax from them and cannot tell if the problem was with sending or receiving, you could try sending yourself a fax through a free online faxing service like http://www.gotfreefax.com. We do not endorse the site – be careful when using it or another such service that you aren’t giving away too much personal information when you fill out the fax form.